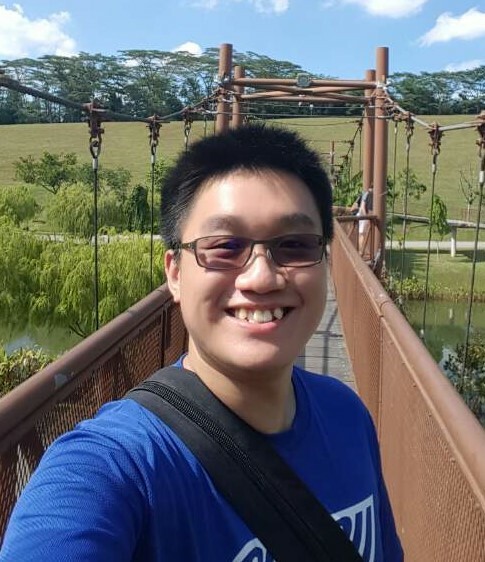 I did my bachelor at the National University of Singapore, with a major in Computational Biology. During the second year of my undergraduate studies, I did an internship at HummingBird Bioscience, where I performed literature research on potential targets for hepatocellular carcinoma. This piqued my interest in drug research, and thus during my final year, I performed an internship under Dr. Fan Hao at Bioinformatics Institute(BII), A*STAR. I learned how to perform homology modeling and small molecule docking during this internship. I continued to work under Dr Fan Hao for my final year project, where I did a project on benchmarking of virtual screening of G protein-coupled receptor (GPCRs) homology models. After completing my bachelor, I worked as a research assistant on statistical genetics under Dr. Sim Xueling in Saw Swee Hock School of Public Health. During which I assessed ethnic differences in protein coding pharmacogenomics variation in Singapore and performed association of Chromosome X variants with HbA1c in East Asians, where I indentified a G6PD variant specific to East Asians that is associated with non-glycemic lowering of HbA1c in men. I commenced my PhD with Dr. Peter Kolb in January 15, 2019, at Philipps-University Marburg. Made with Bluefish HTML editor and Gimp.